Nimoh Pharmacy and Compounding was established with one goal: To provide our customers with outstanding personal customer service, customized medications, affordable medical equipment, prescriptions, and supplements/ vitamins so that they can take charge of managing their health. 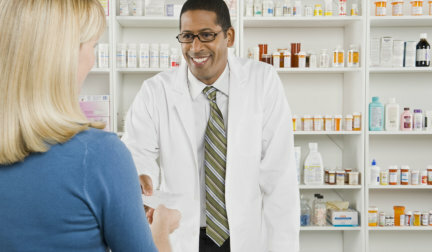 We are a locally owned and operated pharmacy that takes the time to actually get to know our customers and their needs. We understand that every person we serve has a unique need and we take the time to personalize our services to accommodate it. Whether you need customized medications or if you need a one-on-one consultation with our pharmacists, we are always ready to meet your needs. Nimoh Pharmacy and Compounding provides equal employment opportunity and client services. In practice of Title VI of the Civil Rights Act of 1964, our staff and management shall protect the right of clients to equal service provision without discrimination for age, gender, color, religion, national origin, disability, race, sexual orientation, source of funds or veteran status. Questions, comments, or concerns? To talk to an administrator, don’t hesitate to call us at 352-437-5985 for assistance.